We will ship your merchandise in a timely manner-normally within 2 business days. Please allow extra time over weekends and holidays. We ship US Postal Service, normally by Priority Mail. Most packages arrive within 2-3 business days. Due to copyright laws we cannot accept returns on books or patterns. Please note that colors may vary on computer monitors and items may look slightly different than true colors. If you need to return an item, please note that we will charge 15% restocking fee. Class fees are refundable if notice is given 48 hours before the start of class. 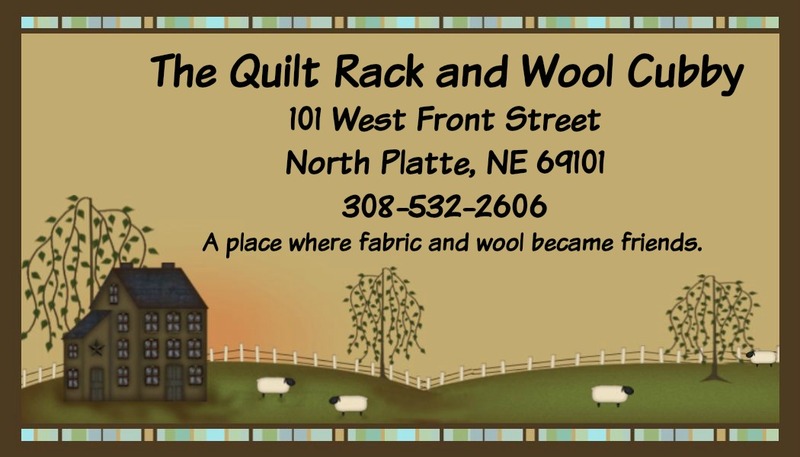 If notice is given, The Quilt Rack & Wool Cubby, may give store credit in the amounts paid for class. If the class is cancelled by The Quilt Rack & Wool Cubby, all money will be refunded or credited to the students account. All fees for a class are due prior to the class start in order to reserve your spot in the class.